Join us Friday morning at 11:00 am CST! 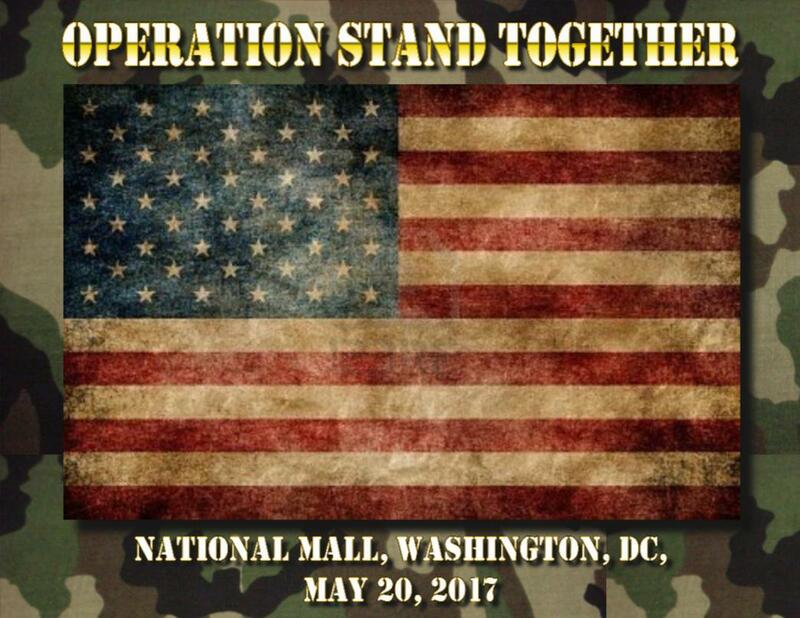 Vincent Diem organizer of Operation Stand Together (www.operationstandtogether.org) will be joining the show to talk about the upcoming event, May 20th, 2017 on the Mall in Washington, D. C.
There are well over a hundred United States military installations that have been identified as contaminated by the Environmental Protection Agency. Many of which, were identified after decades of activities and exposures to our nation’s military service men and women. Additionally, hundreds of thousands of Combat Veterans were exposed to toxins, including Mustard gas and Atomic radiation during World War II, Agent Orange in Vietnam, and the recent burn pits in the Gulf War. Sadly, many of the affected Veterans are seriously ill, disabled, unemployed, and dying as a result of their past exposures. The effects have caused cancers and disorders involving the following systems: neurological, autoimmune, reproductive, respiratory, hematological, musculoskeletal, and gastrointestinal. Toxic Veterans are experiencing a combination of rare disorders and diseases, rather than a single issue. In many cases, the effects of their toxic exposure have been passed on to their descendants. In spite of several efforts to enact necessary legislation that would acknowledge these atrocities and provide the necessary relief and assistance, the majority of legislative bills are ignored and passed over. Each year, thousands of claims filed with the Department of Veterans Affairs are denied.